Helen has been a keen artist all of her life and loves that her role ensures that young people can be passionate about the arts and have great arts experiences in school. On a day to day basis Helen oversees the strategy, management and delivery of the Artsmark Award in the West Midlands. The Artsmark Award is an accreditation scheme for schools and education settings that helps develop excellence in the teaching of arts and culture. It’s Helen’s job to make sure as many Schools, PRUs, YOTs and Sixth Form Colleges as possible get to know about how great Artsmark is. 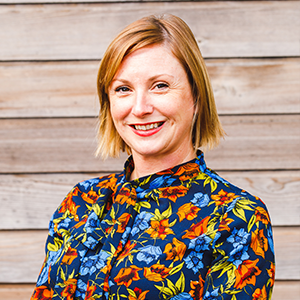 With ten years’ experience of working in the not for profit sector Helen has dedicated her career to using arts and culture to improve outcomes for community groups both in the UK and oversees. Prior to joining Arts Connect, Helen has managed volunteers at the Archives service in Northamptonshire, delivered community arts projects in Milton Keynes and supported children with cancer in Auckland. She has lived in New Zealand and India and gained two post-graduate qualifications; one in Museum Studies and one in fine arts. Outside of the office Helen is a Trustee for a Multi Academy Trust in Stoke-on-Trent or can be found playing netball or running, and occasionally painting – but never all at the same time. Contact Helen if you would like to find out more about Artsmark in the West Midlands.